Campaign group Momentum reportedly boosted Labour’s 2017 general election performance. It has also been a key supporter of Jeremy Corbyn’s leadership of the party. 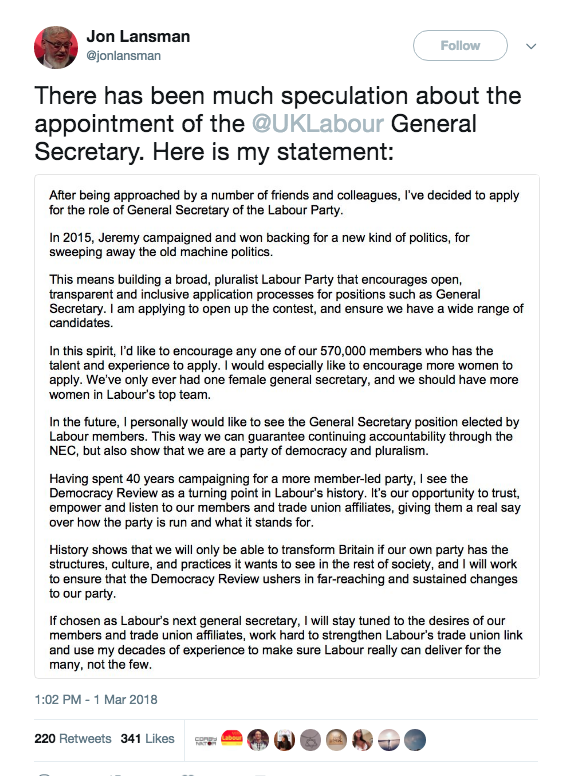 And now, its founder Jon Lansman has applied to be Labour’s next general secretary. But some pro-Corbyn critics claim Lansman lacks what the party needs to move forwards. I am applying to open up the contest and ensure we have a wide range of candidates. In the future, I personally would like to see the General Secretary position elected by Labour members. This way we can guarantee continuing accountability through the NEC, but also show that we are a party of democracy and pluralism. Additionally, he expressed his support for Labour’s ‘Democracy Review’. This is looking at how the party’s “hugely expanded membership becomes a mass movement”. For Lansman, it represents “a turning point in Labour’s history”, and he promised to “work to ensure” that it ushers in “far-reaching and sustained changes”. The Labour Against the Witchhunt (LAW) group, however, thinks Lansman “lacks the democratic credentials” that a new general secretary would need. LAW launched in October 2017. It opposes “the practice of automatic, instant, expulsion or suspension of Labour Party members”, supports “the rights of the Palestinian people” while opposing the conflation of antisemitism with anti-Zionism, and opposes Labour’s ‘Compliance Unit’ (which prevents membership for people who have previously joined or supported non-Labour political organisations). After January 2017, it says, “Lansman abolished all democratic structures [in Momentum] and imposed a new constitution, riding roughshod over the organisation’s members”. 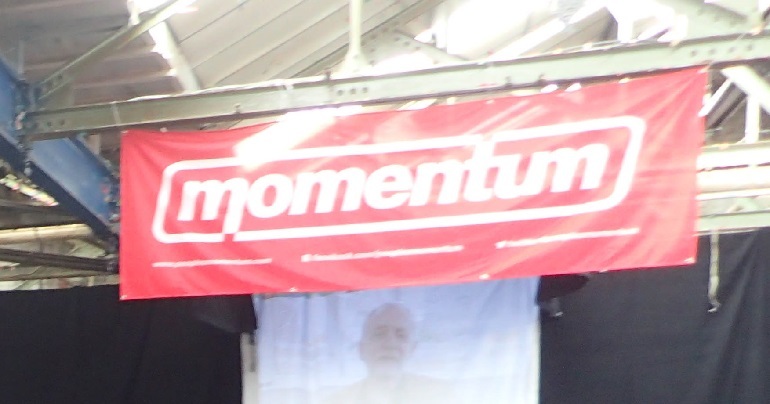 It insists that these changes led to “the breaking up of Momentum Black Connexions/Caucus” and the more recent closure of Momentum’s youth group. This, it claims, shows Lansman’s “serious lack of commitment to the self-organisation, self-determination and autonomy of disadvantaged groups in society”. 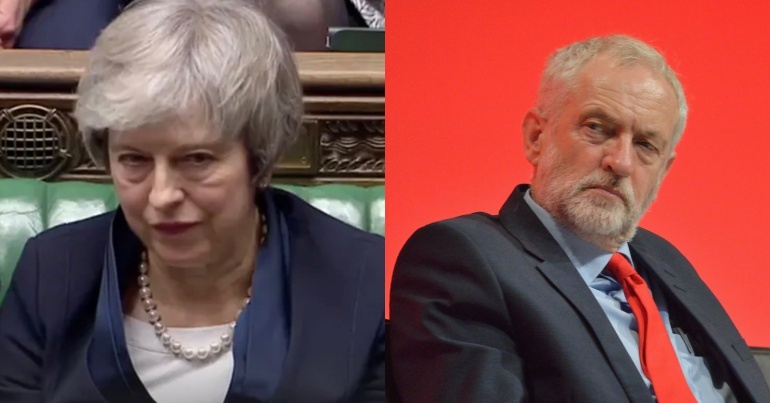 LAW insists that the purge of left-wing Labour members since Corbyn became leader has “brought the party into disrepute” and “prevented and discouraged new members from getting involved in party life”. It also claims that “valuable resources have been wasted in persecuting some of the most energetic and effective campaigners for social change”. And it believes Lansman would not “put a decisive stop to this witch-hunt”. The Canary tried to contact Lansman but got no response by the time of publication. 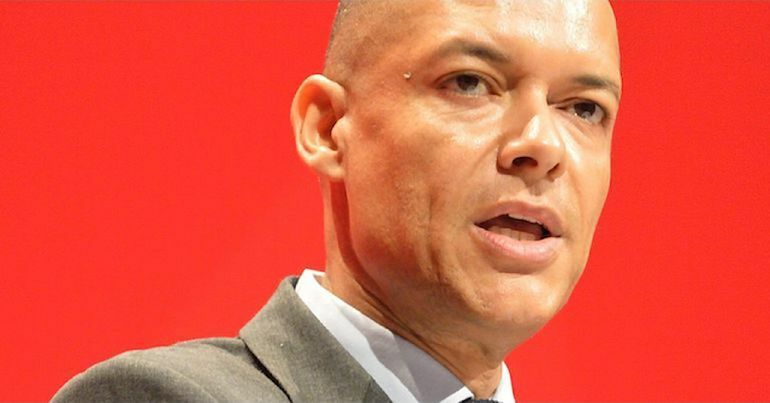 A Momentum spokesperson, however, pointed out that the organisation doesn’t currently have an official stance on Labour’s compliance unit, and that it has a number of proposals for transforming BAME Labour and Young Labour. In particular, they mentioned the organisation’s proposals for letting members choose the National Executive Committee’s (NEC) Black, Asian, and minority ethnic (BAME) representative and for giving under-27s more of a say regarding policy. 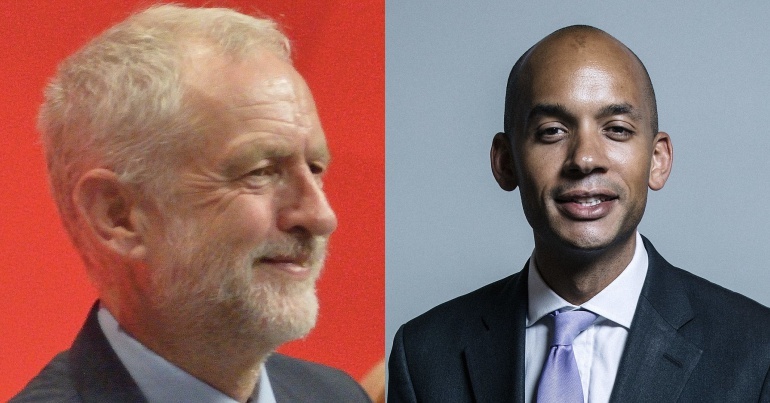 If we’re trying to build a social movement-style party that can transform Britain, backroom deals are just not the way to go. He’s the only candidate who is both in touch with the membership and able to work with all the different unions that sit on the NEC. As a vocal supporter of, for instance, the rights of Palestinian people and genuine bottom up Labour Party democracy, we think her election would send a powerful political signal Labour’s ready for government. We hope that her tenure would mark the beginning of the end of the witch-hunt, which has caused such disunity in the party. According to The Guardian, Jeremy Corbyn and shadow chancellor John McDonnell “have so far supported Jennie Formby” too. I will work with all parts of the movement to ensure that the party democracy review empowers the party membership, opens up policymaking, and ensures democratic best practice throughout. Labour’s NEC has reportedly “agreed to a fast-track process which will fill the position by 20 March”.